The efficient governance and administration of social protection schemes is one of the preconditions for the effective realization of human rights. In order to realize their rights, people need to be well informed about the availability of social protection benefits and of qualifying conditions, under which they can access the benefits in case of need. People need to have the possibility to interact with the administration close to their homes and workplaces, ensuring that geographical, language or other barriers do not prevent people, including vulnerable groups, from realizing their rights. Effective and efficient administration also includes financial management, benefit delivery, contribution collection (where applicable), information management, data protection and privacy, as well as complaint and appeal procedures. 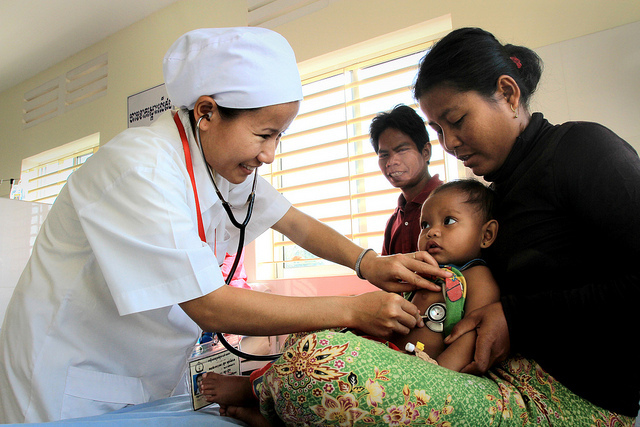 Photo credit: “Improving hospitals and healthcare helps save lives” by World Bank Photo Collection (CCBY 2.0 via Flickr).